The science tells us that 80 per cent of the world’s fossil fuel reserves have to stay in the ground if we are to have any chance to keep global warming under 2⁰C. The exploitation of the tar sands is causing environmental destruction on a mindboggling scale, both where it is dug out of the ground in Alberta and in the form of greenhouse gas emissions, contributing to the acceleration of climate change. Read more about our campaign for climate action in BC. Liquefied fracked gas is becoming an increasing problem across British Columbia as our federal and provincial governments try to force through projects that will destroy salmon runs, pollute our climate, and ignore First Nations opposition. Here in BC, our communities, wild spaces and coast are also threatened by the Trans Mountain pipeline and tankers project. This project would make it impossible for BC to meet its current legislated emissions targets, much less the more aggressive targets needed to make a meaningful difference in the fight against climate change. The proposed Trans Mountain pipeline expansion would bring another 400 tankers a year to the Salish Sea, putting salmon rivers and the BC coast at much greater risk of catastrophic oil spills. Even without a spill, the noise from these tankers could cause endangered orca whales to go extinct. The proposed route would cross through the unceded territories of numerous First Nations who do not consent to this pipeline. 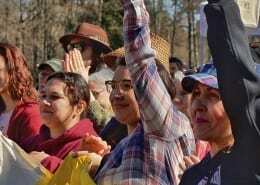 Trudeau promised to respect First Nations but his government’s support of this project tramples over Indigenous rights and title.We need to stand strong in solidarity with Indigenous peoples and continue to say no. We also need to look at the big picture. We should be shifting investment toward energy efficiency and renewable energy, not building new infrastructure to expand the exploitation of the world’s dirtiest oil – Alberta’s tar sands. This project would release more than 100 million tonnes of carbon dioxide every year. Stopping it is crucial to shifting Canada’s energy sector away from dependence on fossil fuels and toward economic alternatives that protect communities and slow global warming. 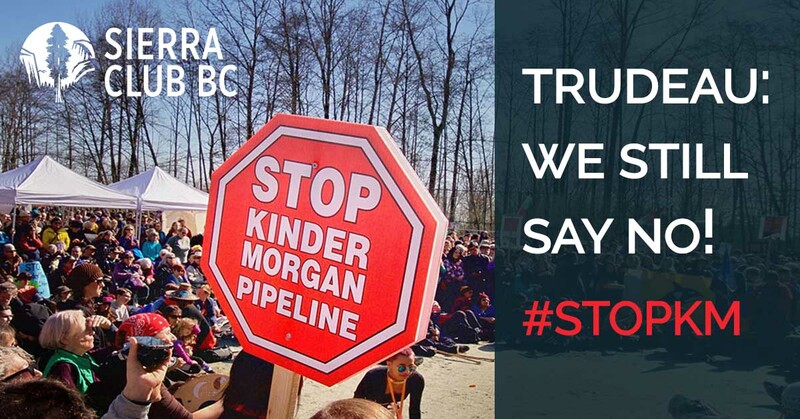 In May 2016, the National Energy Board approved Kinder Morgan’s proposed Trans Mountain pipeline and tankers project. The review was a severely flawed process that denied many people a chance to speak up. Prime Minister Trudeau heard our calls for an improved review, and promised BC a chance for meaningful public participation. Summer meetings were announced with very little notice and a hastily-organized review was conducted by a three-member federal Ministerial Panel. The panel’s report raised a series of crucial questions for the federal cabinet. In November 2016, the federal government approved the pipeline, making BC—and especially the south coast—a sacrifice zone. In January 2017, the province of BC gave its approval. This failure of former Premier Christy Clark to stand up for BC’s interests was a sell-out and a betrayal. The current BC government has promised to use “all the tools in the toolbox” to fight the project and introduced oil spill regulations that restrict new shipments of diluted bitumen across the province. However, in May 2018, the federal government announced it would indemnify and, if necessary, purchase the project outright. This taxpayer-funded bailout could cost up to $15 billion! Our pressure convinced Kinder Morgan to walk away from this risky investment, but the fight isn’t over yet. While Trudeau searches for new investors, we’re continuing to ramp up our opposition to ensure this disastrous project never gets built. Sierra Club BC will continue to stand up for whales, for salmon, for communities, for our economy and for our climate. That’s why we relaunched the Pull Together campaign, which was successful in stopping the Enbridge pipeline. In partnership with RAVEN Trust and the Force of Nature Alliance, we’re supporting the Tsleil-Waututh and Coldwater Nations who are in court to overturn the federal approval. By helping to raise funds for First Nations’ legal challenges to Kinder Morgan, we will ensure this pipeline is never built. 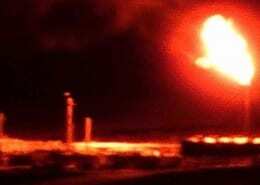 Take action to stop the Trans Mountain pipeline and tankers! Stay up to date on our fossil fuels and climate campaigns by signing up for our newsletter and alerts! Scientific evidence shows clearly that building liquefied fracked gas plants—what the industry brands as “natural” gas—will spread a destructive web of pipelines, plants, fracking sites, compressor stations, and work camps across British Columbia. The declining value of LNG in global markets now undermines any business case for LNG in BC, and many proposals are being shelved. British Columbia should be putting its resources toward renewable energy and transitioning to a post-carbon economy. Sierra Club BC will continue to highlight the dangers posed by LNG, its incompatibility with decreasing global demand for fossil fuels, and the benefits of alternatives. We’ll also continue to push for both the federal and provincial governments to include a rigorous climate test in all future environmental assessments, so approval of climate-killing projects like LNG Canada can never happen in the future. In fact, did you know that as a BC Hydro ratepayer you are subsidizing projects like the Trans Mountain pipeline and tankers proposal and LNG projects? The BC government offered handouts to the LNG industry in an attempt to lure companies to BC, and it’s us the taxpayers and hydro ratepayers who will be footing the bill. Watch this video to find out how your hydro bill pays for handouts to fossil fuel corporations and read our report. Tell Premier Horgan: Stop subsidizing oil and gas and shift investments to clean energy! Our climate is in crisis. Yet federal and provincial environmental assessments ignore the full climate impacts of the projects they review. That’s unacceptable. That’s why Sierra Club BC is calling for a climate test to be built in environmental assessments, both federally and provincially. A “climate test” will test proposed energy projects against their impact on our climate. This will involve consideration of the proposals’ emissions, from extraction to transportation to eventual consumption, and whether there are more climate-friendly alternatives. If a proposal doesn’t meet the test, it doesn’t go ahead. Learn about the climate test and sign the petition! Our work on fossil fuels is supported by Patagonia.